This is a note about facebook activism and victim card play. Not sure if the author got any reliable source of information. Being in the same state as Preetha, and seeing this whole issue from day one, I know it better than Ellery Biddle. "In late July of this year, a politician in Kerala proposed a ban on women wearing jeans. Preetha was outraged. She started talking about it on Facebook, organizing an opposition." There was no such proposal for ban on women wearing Jeans in Kerala. For that matter, Kerala, unlike other part of India cannot propose such a anti-woman fatwa. Actual cause was, a politician made a cheesy remark over the dressing sense of movie actresses. Yes, Preetha G Nair replied to that in facebook using derogatory words. Her remarks were against a leading politician in Kerala. Followers of that political leader reported her account and created abusive pages on Preetha – Anyone with a wit would agree this is a wrong do from the political party's side. Yet, There is always a better way to respond to a political statement of a stage speaker; let it be a politically incorrect statement. 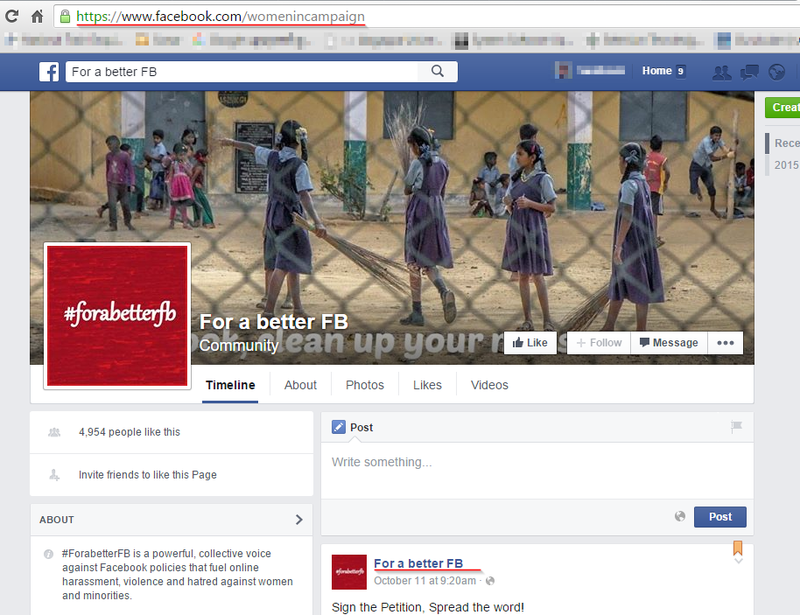 "When Facebook reinstated Preetha's account, her full name appeared on her profile, caste name and all. Some castes are more vulnerable than others. My South Asian colleagues have explained to me that a move like this can give your enemies license to treat you as badly as they like, with impunity. Similarly, police are unlikely to respond to a call from a person of a low caste. *"
Yes, if her legal name has her caste name, that is solely her discretion. Caste names are added as surname by high caste people as a dignity, all over India. (Except for some low castes like Yadavs also keep their caste name as surname. This is related to the mythological backing of those names) Let it be the worst part of India. Yet, it is individual's discretion to keep it with their names. And unlike stated in the article, "Nair" is not a 'low caste', nor that police are unlikely to respond to a call from a person of that caste. As far as I know (in these 33 years of life in Kerala), Nair caste is one of the most powerful caste, even the home minister (the one in the helm of Police force) is a Nair. So, bringing in the caste card is the most cheapest trick made in this article. This whole campaign started as retribution to the gender biased actions of facebook. Right after the initiation of this campaign, everyone (inside and outside the campaign) realised that, there is nothing gender biased here, men and women are equally-randomly picked up based on the rate of activity and asked for identification. That starting of the campaign was so much celebrated in Malayalam (local language of Kerala, India) circles of social media. And I presume that it had became their prestige issue to carry on with the campaign. Slowly, the focus of campaign moved from gender equality to real name policy; and as of today, they are known as anti-caste system crusaders. The shift of campaign result can be clearly seen from the URL of the "For a better fb" facebook page and their current motive. The URL is: https://www.facebook.com/womenincampaign. Yes. Women in Campaign. And now they say it is against real name policy of fb; and caste system. Facebook being a social network corporate company has no other motive than to identify real people's behavior and push the advertisements down their throat, than to respond to democracy cries and any other social cause. And running a campaign within facebook to change facebook's policies; that too by paying facebook for their campaign page proliferation is the most ironic part. People like me, who support freedom of speech, gender equality, no-caste system would love to support all these causes. But those leading the campaign must declare what they are campaigning for, and assure that the motive of the campaign would not be changed without informing those who are supporting it. Support their cause and on a later date, you will not know what campaign you are supporting for.